Shopping but not on intervals. Okay so true life. You guys are so fabulous. Thank you for your words of encouragement yesterday. I haven’t really come to terms with why I got my stress fracture and when I’m ready to post in on the blog I will. Sometime in the next week or so. I’ll just help you out and let you know that it reared it’s little ugly brokenness on my 21st birthday but I didn’t realize until that following Saturday during the race. To fill my time with not running, I have been going back to school shopping. Why…I don’t know because I don’t need anymore clothes. Real girl clothes or running clothes that is. I’m actually trying to update my clothing wardrobe a little bit. I am no longer an Abercrombie and Ftich exclusive wearer and I haven’t been since high school. But seriously. Those clothes never wear away and somehow still remain to be half my wardrobe. Before I left my house, I made myself a list of things that I will probably still buy that I just need to realize I don’t need anymore. I even took photos to remind myself at the store. No matter how cute they are not coming home with me (uh similar to men at bars). These are just the ones at home. I have twice this many stored at college. Problems? Tyra wouldn't think so. Jeans (The last time I wore jeans was when Julie made me in March so we could go to the Casino…). I have six pairs that get worn maybe once a year each. No need to buy more because it would mean I have to wear jeans. Hoodies. I have so many team sweatshirts that I don’t need to go buy more. Like race t-shirts. FYI-dresses will never be on this list. Ever. In another news, now that I have got my shopping on. I also got my eating on. Shopping is a great cross training workout you know. 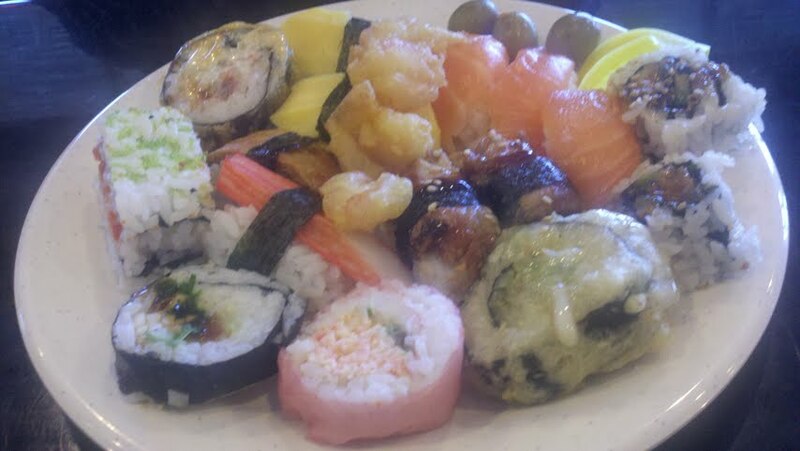 The mom and I went to a cute little sushi buffet in VA Beach. Actually-dirty lie. It’s huge and I love it. And speaking of cross training. I have gotten a few emails of how I have stayed positive with my injury. Well first, I’m not going to whine about it on the blog. Honestly though, if I wasn’t able to do anything that resembled running, aka any sort of elliptical I guess then I might be more upset. But right now I can do elliptical which is what II did way before I ran. I normally do a routine of an hour (just like I ran an hour daily). Intervals and trashy TV keep me motivated the most though. Intervals are what make me work harder than just a steady state of boredom. For instance, doing a speed interval on the track is no different then doing intervals on the elliptical or with swimming. Us swimmers are so used to intervals seriously. _____ on _____ and you should be getting _____ rest. Gee thanks. I normally don’t say gee thanks. It normally involves some four letter words when coachy coach reads them to us. He loves me for it I’m sure. This post as rather sparatic but it’s Monday so I get a free pass. 1. What are you “not allowed” to buy anymore of? What do you own too much of? 2. Intervals? What do you think about them? Gasp! No more shoes or jeans? I couldn’t do it…just couldn’t. Hmm, not allowed to buy more um, maybe bracelets since I really don’t love wearing them. I’m sorry about your stress fracture 🙁 I hope it heals as quick as possible! Lots of chocolate milk!!! I’m a fan of intervals, as long as I’m not burned out or exhausted. They make me feel intense. I’m seriously not allowed to buy anymore cereal. I have to be diverted in the grocery stores now… Clothes wise I’m not allowed to buy any hoodies. I own too many of them and for some reason hate to throw them out. I am just getting into shoes for some reason. Don’t know what I was thinking, but I really love them now! I don’t really do intervals when I run or use the Arc… Ha. I get enough of them in the pool every day. I have a love hate relationship with intervals. Story of my life. I love the idea of working hard, but hate the feeling I get when I’m about to die. I am not allowed to buy anymore Rainbow flip flops. Seriously. I have 3 pairs and it’s all I wear in the summer. I need more rainbow flip flops. I keep saying I’ll buy another pair because mine have gotten a little bit grimetastic. Keep buying hoodies. You can never have enough. I love intervals. In the pool, from habit, and on the treadmill, because I like pressing buttons and making noise. I promise that I am almost 31, really. I am jealous of your shoes!! I am not allowed to buy any more running shirts .. I have way too many haha and I LOVE your maxi dress.. You are so tan! i LOVE that dress! GIRL that color looks absolutely gorgeous on you!!!!! i have so many hoodies too- i need to actually give some away. Oh my gosh…I have so many team sweatshirts and t-shirts as well! I once started making a blanket out of my t-shirts, but then the sewing machine fell on my foot and broke! OUCH! As for intervals, as a swimmer, I am so used to them. I love mixing them into my runs and elliptical workouts because they make things so much more interesting. I love mixing up my workouts to keep myself motivated and working hard to read a fast interval that I didn’t think possible before I did it! I love your shoes!!!!!! GORGEOUS!!! I am not allowed to buy anymore skirts…I have a bajillion and I just can’t stop myself!!! Seriously… need to go shopping, actually. I really feel like I wear the same 4 shirts over and over again. As far as intervals go for swimming, I’m too used to it to be bothered. It’s difficult for running though! But, they really are super helpful and I notice a difference in my performance after completing them. I have loads of running shorts/tops & pj pants (what can I say I like to be comfy). Gorgeous maxi dress, it suits you!! That dress is amazing! The color looks fab. with your hair!!! P.S. Your dress is GORGEOUS and I want to look like you. love intervals especially if I have to do a treadmill run… then it is basically all interval to keep me on there!! I like you am not really allowed to buy anything… because I too have FAR too many clothes! But I agree that you can never have too many dresses! I should probably not buy any more pens haha. It doesn’t matter that all of the pens are in working order because if I’m in the store I’ll definitely buy more if they catch my eye. I probably shouldn’t buy more hoodies either but I live in them year round. Yes, even in the summer because I’m a freak like that. If I was nice & tall, I’d live in a maxi dress. I smuggle new shoes into my house when my husband is A) sleeping B) not home or C) doing yardwork. I won’t allow myself to buy anymore purses. I always end up buying one that looks exactly like another one that I have. 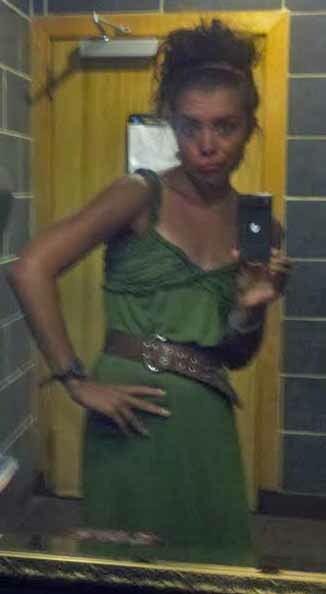 Love the dress in your picture! Uh, I’m not supposed to get more shoes, but I rarely can resist. What size do you wear? Maybe we can just do a shoe swap sometime haha! Luckily, unlike Mindy, I have no one who I must sneak them past. Intervals are my fav! I love them! Plus they blast more fat and calories than doing steady state cardio! Something I try not to buy anymore of is anything from Crate and Barrel! I think I own the entire store! I have a weak spot for anything at that store! Ohnoes I haven’t read yesterdays post yet. I will go read it ASAP. 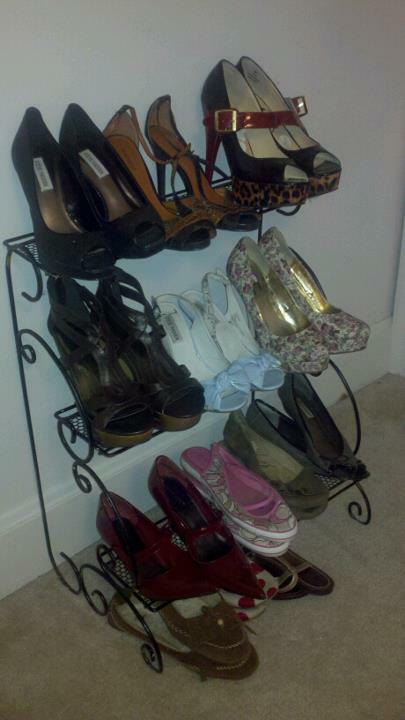 I’m really jealous of your shoes collection.. mine is inferior. I really don’t need any more hoodies, but I wear them everyday and I just bought a new one. Oops. Oh and race shirts but no one is stopping me there. Intervals and I have a love hate relationship. I love them when I’m done, but half the time I just can’t get myself to start unless my coach makes me. Or i’m feeling extra motivated. Or i’m pool running because that’s just awful and the only way I can grasp doing it for longer than 10 minutes is by breaking it down. I have too many running shoes and Vans shoes. I don’t do heels because I’m a dork. (: Then I buy tempo shorts like crazy. Since I got a job, I spend money like it’s my new job. catching up on your blog! LOVE dresses of course, but like u said will never be off limits. But shoes I have to say no- especially flip flops!